Our top picks of books for children and teens about the girls and women who fought for workers' rights. For many children today, Labor Day is just a holiday marking the end of the summer; what they often don't know is that this special day commemorates the history of the struggle for workers' rights — one in which girls and women played important and too often forgotten roles. Held on the first Monday in September in the U.S. and Canada, Labor Day celebrates the contributions of workers and remembers the hardships they endured in their fight for justice. 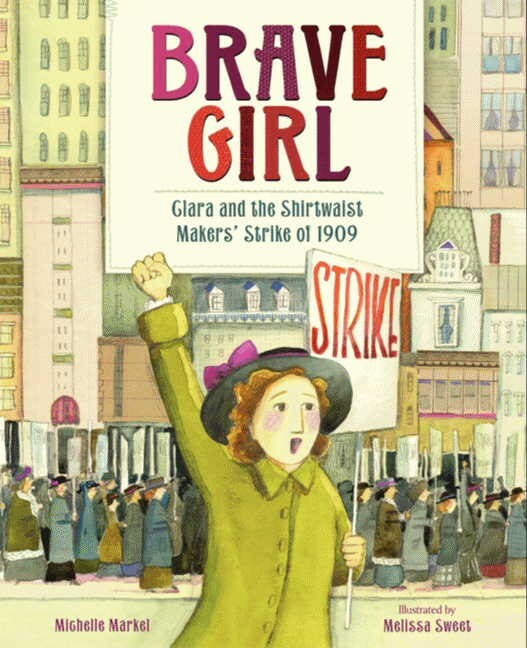 To introduce children and youth to the struggles and achievements of working girls and women, the fiction and non-fiction books recommended in this post will open their eyes to the tremendous efforts and sacrifices made by those in the early days of the labor movement who won workers the right to fair wages and safe working conditions. 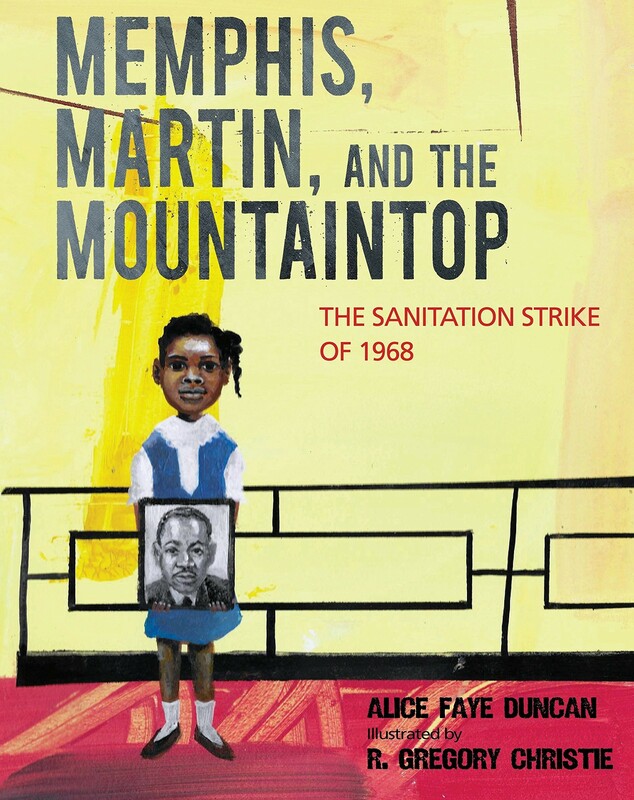 These stories will also give young readers a greater understanding of struggles that continue today, especially in countries where the fight continues for even the most basic worker rights. This post features twenty of our favorite books, from picture books to young adult novels to adult historical fiction, focused on the involvement of girls and women in labor movement struggles. For more books about labor issues, visit our collection of books about Work & Labor in our Social Issues book section. Mother Jones was already a dedicated labor reformer when she decided to tackle a particular problem: child labor. At strikes for cotton mill workers, she met children as young as eight who were already working twelve hours a day, six days a week. Kids, she thought, should be allowed to be kids, but how could they when they were expected to go to work? 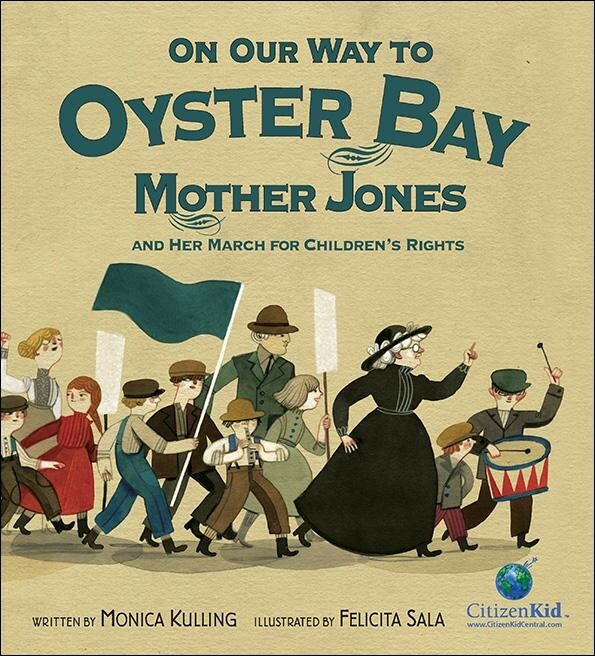 To draw attention to the need to end child labor, Mother Jones organized a march — a march of children, straight to President Theodore Roosevelt's summer home in Oyster Bay. This picture book about the crusade for children's rights will open the eyes of kids who can't imagine doing the work of an adult every day. Observant teacher Dolores Huerta wants to know why her students are so hungry that they can’t learn, and why many of them don’t have shoes to wear to school. When she visits their families, she learns that migrant workers picking grapes work long hours for unlivable wages, but when she confronts their bosses, they ignore her. Dolores refuses to let it go, and soon she is encouraging the workers to strike and customers to refuse to buy grapes until the workers are treated fairly. 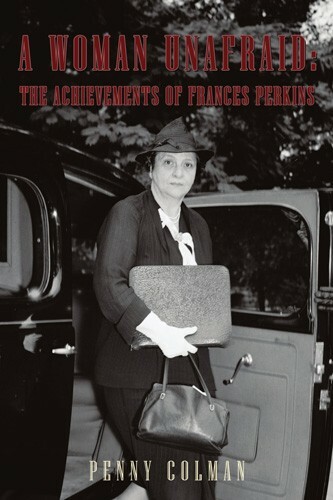 This compelling picture book biography captures the determination and courage of the woman who devoted decades of her life to fighting for workers’ rights. 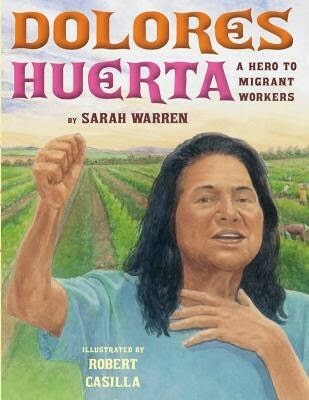 For another excellent picture book about Huerta, check out Side By Side / Lado a lado: The Story of Dolores Huerta and Cesar Chavez / La historia de Dolores Huerta y Cesar Chavez for age 4 to 8. Emma Tenayuca was a Mexican-American girl in 1920s San Antonio, and she saw first-hand the poverty and starvation caused by the slave wages paid at the pecan-shelling factories. As she grew up, despite her own comfortable home, she remained deeply aware of the injustice others suffered, and as a teenager, she spoke movingly on their behalf. When she was 21, the pecan shellers wages were cut even further — from six cents an hour to only three cents an hour — she decided she had to do more. Tenayuca ended up leading a successful strike by 12,000 pecan shellers. An afterword provides photographs of Tenayuca as well as details about her later life. In 1910 Chicago, clothing workers had a difficult life: the hours were long and the bosses were mean. But most workers didn't want to risk losing their jobs, especially when they were making a decent living, just to protest conditions. 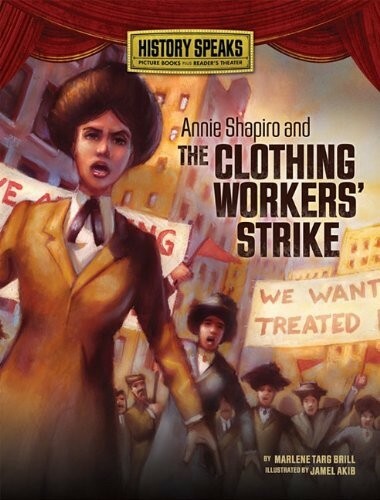 When the workers' pay was cut, though, 17-year-old Annie Shapiro decided the workers had to stand up for their rights. She walked out of work and slowly, more and more people followed her. Eventually, over 40,000 workers joined the strike — but would the bosses listen, or would the months of strikes lead to nothing? This enthralling tale of labor history also includes a script for putting on a readers' theater performance of Annie's story. 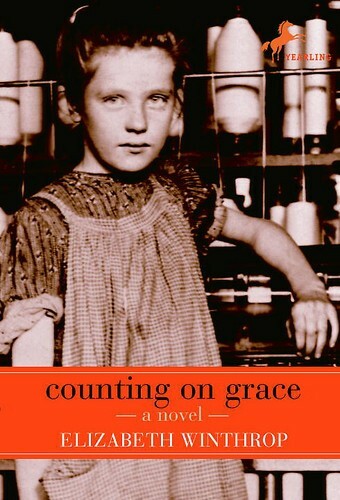 In 1910 Vermont, 12-year-old Grace must leave school to work as a “doffer” for her mother’s loom in the mill — never mind that doffing is a right-handed job, while Grace is left-handed, or that underage work is technically illegal. Grace struggles to perform the job, and every mistake costs the family dearly. 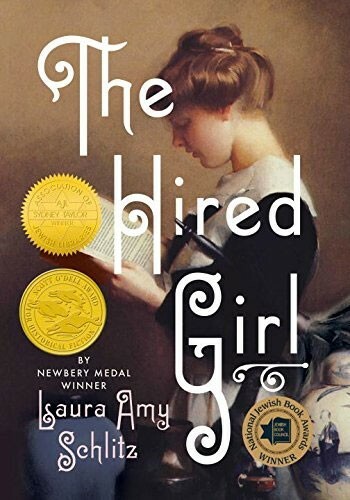 But with her friend Arthur, she writes a secret letter to the Child Labor Board and when reformer Lewis Hine shows up undercover to document the factory, Grace will develop a new sense of her capabilities and perhaps a better future. This beautifully written novel is an excellent jumping-off point for discussions about underage labor today. When Fannie Sellins was born, business owners like the Carnegies and the Morgans lived lives of luxury, while their employees barely had enough to feed themselves and their families. 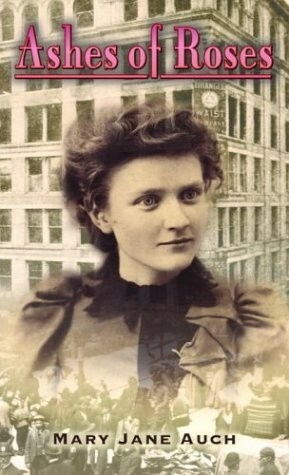 So she became a union activist, first helping to create a chapter of the United Garment Workers of America in St. Louis, then traveling the nation speaking out on behalf of workers' rights. She would give her life for her cause, but her influence lives on today in the laws and unions that protect workers from abuse. This well-researched book includes plenty of additional information for those curious about Sellins and the labor movement. Rosa’s mother and older sister work long hours at the mill so that she has the chance to go to school. Then the mill workers go on strike, and Rosa is afraid for her family’s safety, but also confused: her teacher says the striking workers are an ungrateful, violent mob. Rosa is sent to Vermont, to union sympathizers who are willing to protect the children of the strikes, and on the way she meets a boy desperate for protection. Through his story, Rosa will gain new perspective on just why the strikes are so important. 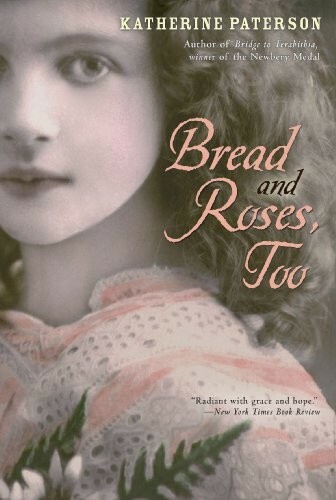 Set against the Bread and Roses strike of 1912, this remarkable story is full of authentic, touching voices. Eleven hours a day, Emily snips threads from blouses at the Acme Garment Factory. Go too fast, and she’ll damage the fabric and get docked pay; go too slow, and she’ll be fired. But without the four dollars a week she earns, her family will starve. Then a reporter arrives, seeking to document violations — including underage workers like Emily. 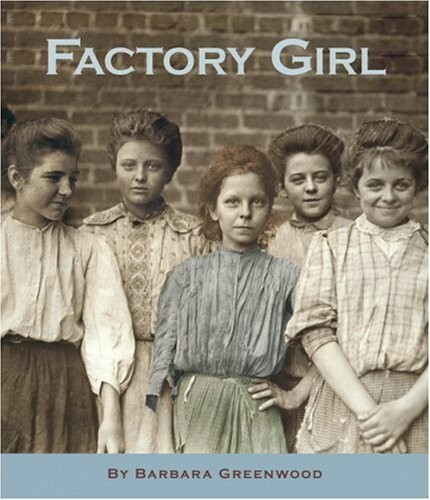 Will she dare to reveal the truth, even if it risks everything she and the other children of the factory have? 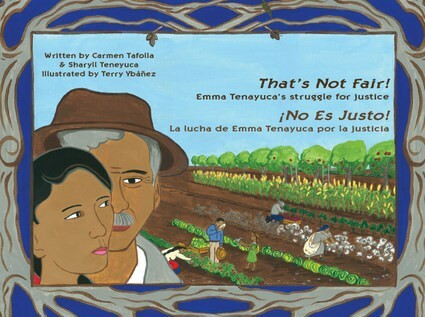 This unique book intermixes Emily’s fictional story with non-fiction sections about life in a slum, working children, and labor reformers. At the beginning of the 20th century, nearly 2 million children were working — everywhere from coal mines to cotton mills, and often under brutal conditions. Eventually, individual groups of kids started to rally together, demanding safer working conditions, shorter hours, better pay... and eventually, the right not to work so that they could go to school. 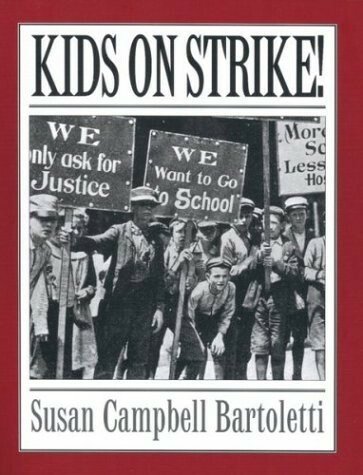 This award-winning book tells the story of a variety of different children's strikes, some of which were successful and some of which were not. Their stories are a reminder that America's industries were often built by children's hands as much as by adults' — and that children today owe a debt of gratitude to the working kids who stood up and said, "No more." Thirteen-year-old Kit Donovan is pulled in many directions in her 1905 Nevada mining town... but when her mother dies of a fever, Kit promises to become a "proper lady." Except then she discovers that Mr. Granger, the gold mine's boss, is making extra profit thanks to unsafe working conditions — and when she convinces her dad to speak out, things go from bad to worse. 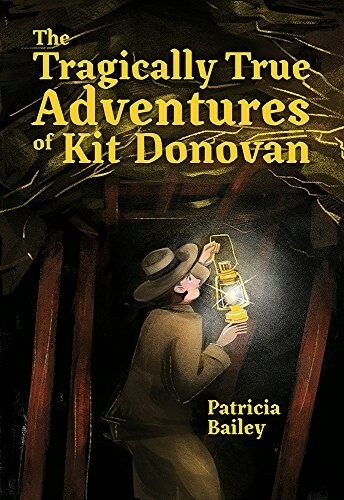 So with the help of some friends, Kit decides to take some lessons from her hero, Huck Finn, as she fights to clear her father's name and expose the mine owner's corruption. Full of twists, turns, and rollicking adventure, this historical fiction novel featuring a daring main character celebrates those who will stop at nothing to bring the truth to light. 10-year-old Lyddie’s family farm is deep in debt, so her parents are forced to hire her and her brother out as servants to pay it. 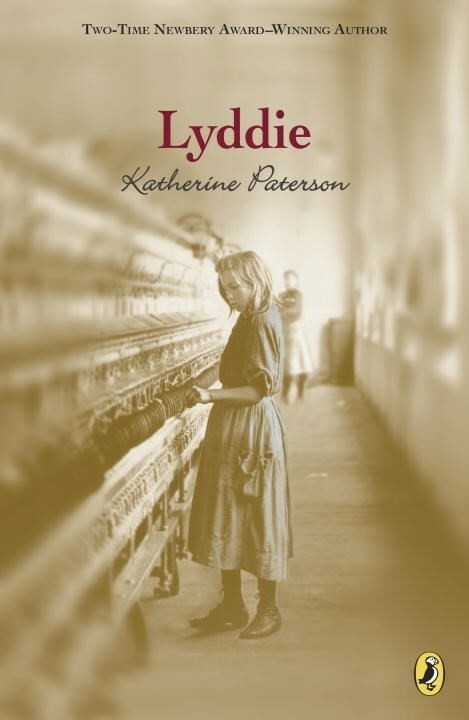 Lyddie wants her family to be together again, so when she hears about the money a girl can make in the textile mills, it seems like the perfect solution. The working conditions are horrible, but she needs money too much to sign the workers’ petitions, even when her friends start getting sick. Instead, she escapes from her hardships with her new joy -- reading. And when she learns that she can never return home, her love of books and learning may provide a new dream: a life of education. This touching novel shows how books and reading can provide new hope, even in the midst of poverty. On March 25, 1911, 146 workers — nearly all of whom were young women — died when the Triangle Shirtwaist Factory burst into flames. Soon, the nation learned that the factory was overcrowded, and that the workers had been locked in during working hours. The Triangle Fire became the tipping point for a growing movement of labor reformers and immigrant activists, fighting to ensure that the garment industry’s profits were no longer made at the cost of their blood. This National Book Award finalist will remind readers that the laws we take for granted today came at an enormous cost. 13-year-old Raisa is alone in New York City, after sailing from Poland, hoping for a better life. She manages to find work at the Triangle Shirtwaist Factory, and at first, it seems wonderful — she makes money, she has friends, and she might even be falling in love. Then comes the infamous fire: Raisa escapes, but has to watch the horror of workers dying as they try to leap to safety from the flames and faces the awful aftermath as friends seek familiar faces on improvised morgue floors. 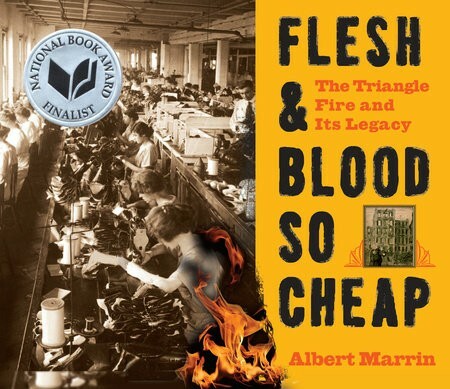 This moving novel puts a human face on the tragedy that sparked the demand for labor reform. 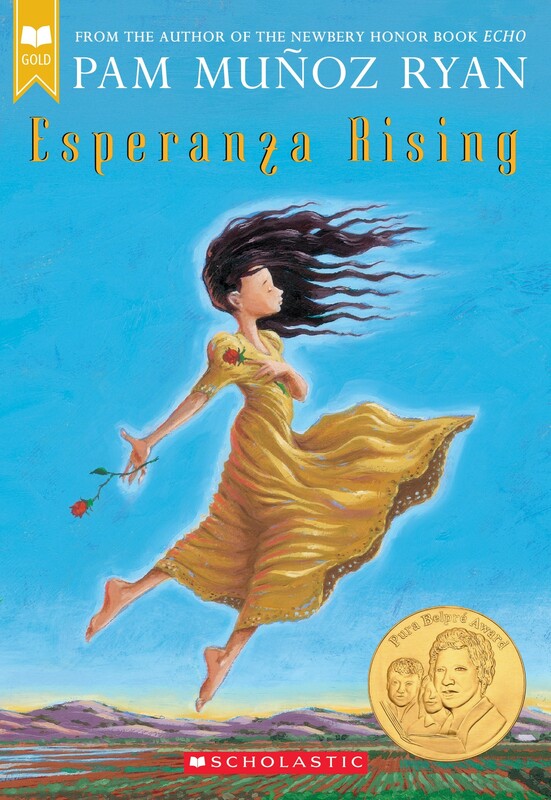 Esperanza grew up in privilege in Mexico, but when her father is killed by bandits shortly before her thirteenth birthday, she and her mother flee to America. In Depression-era California, no one cares about the elegant life Esperanza remembers: she’s just a farm worker, good for nothing but hard labor. But as Esperanza struggles with poverty, racism, and grief, a multiethnic spirit of labor organization is blossoming around her. Hope is coming both for Esperanza and for the workers around her struggling to get by. This Pura Belpre Award-winning novel is both heartfelt and thought-provoking. 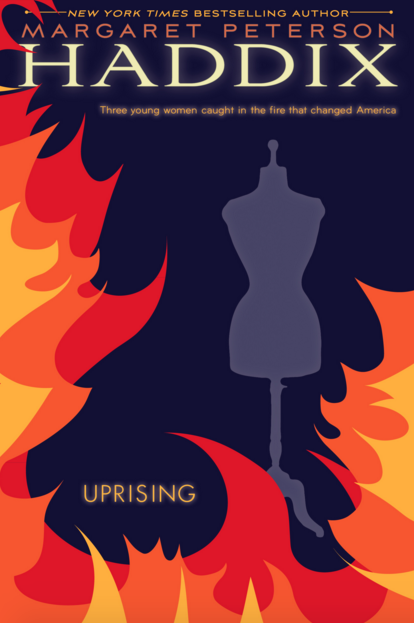 Bella, Yetta, and Jane make three unlikely friends: Bella and Yetta are immigrant workers at the Triangle Shirtwaist Factory, while Jane is a privileged young woman who supports striking garment workers as part of the movement for women’s suffrage. The women’s stories reveal the truths concealed behind the factory’s walls: pay being docked for mistakes, bosses who turn back clocks to delay quitting time, and women being frisked to ensure they’re not stealing. But the friendship also leads to all three women being present for the infamous fire and the tragedy will cost these friends dearly. This deftly crafted novel will give readers a new perspective on the power of friendship and the price that has been paid for the rights of workers. The Labor Movement ensured that teens could not be forced to abandon education for work — even on a family farm. 14-year-old Joan Skraggs wants to be a teacher, but her father thinks girls aren't good for anything but keeping house — and on a 1911 Pennsylvania farm, that work is backbreaking and constant. When her father pulls her out of school, Joan runs away to Baltimore, where a Jewish family takes her in as a hired girl. The Rosenbachs are different than anyone she's ever known, and she often stumbles trying to please them, but her six dollars a week in wages might allow her to achieve her dreams. This book gives a fascinating glimpse at the life of a domestic worker in the early 1900s, and reminds readers that, without the Labor Movement, they might not be reading at all. 16-year-old Rose Nolan and her family consider America the land of opportunity, and they've sacrificed a lot to travel there from Ireland. While part of the family is forced to return home, Rose and her younger sister Maureen stay in New York City, determined to make their fortunes — but their jobs at the Triangle Shirtwaist Factory barely allow them to get by. Still, they believe that, with hard work, they can make themselves a success in their new country. The sisters don't think about what being locked onto the work floor might mean — until they're caught in the infamous 1911 Triangle Shirtwaist Fire, fighting for their lives. 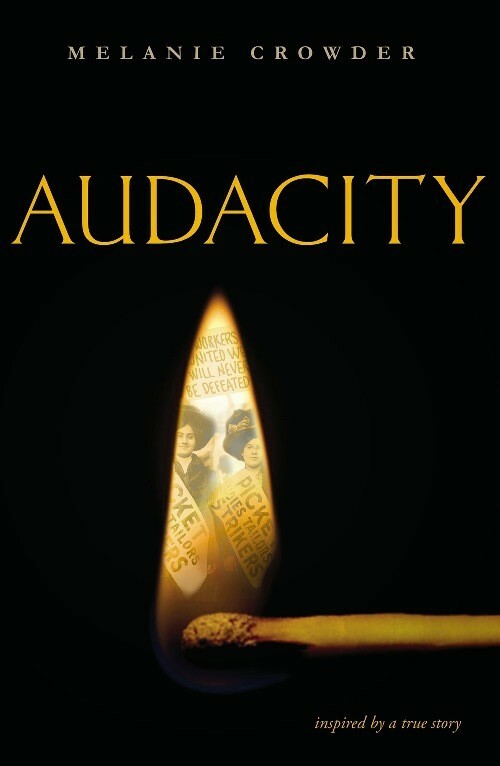 This gripping historical fiction novel features vivid detail and vibrant characters as it describes this life-changing disaster. 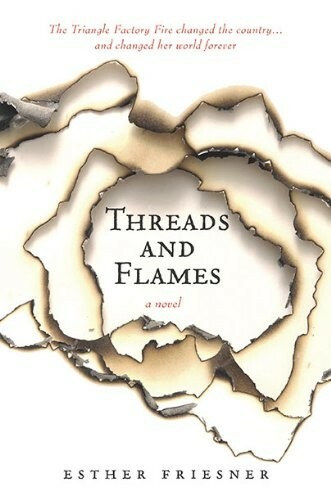 In this novel in verse, Clara Lemlich comes to the US looking for a better life and discovers that immigrants -- particularly female immigrants — are denied the education and fair pay they need to achieve that life. But Clara refuses to accept her designated place: “Inside I am anything/ but fresh off the boat./ I have been ready for this/ possibility/ all my life,” she declares. She organizes a women’s union, and soon her voice is joined by thousands of others during the Uprising of the 20,000, the largest walkout of female workers in US history. 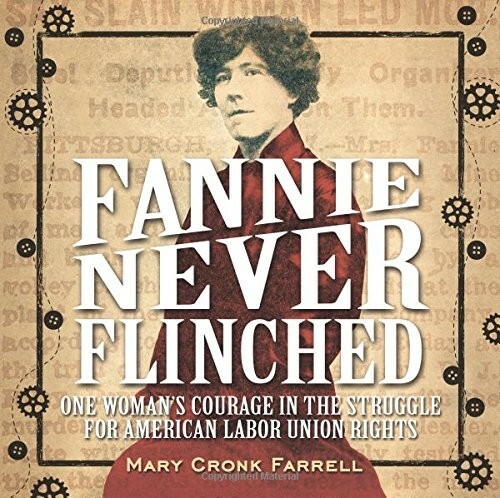 This 2015 release is a unique and compelling addition to any library on labor history. Julie dreamed of attending college with her best friend Lauren, but since she had to sacrifice college savings to save her family home, she finds herself working while Lauren makes plans to leave without her. Then the friends make an unusual discovery: a thrift store painting that glows in the dark, revealing a second image. Julie becomes obsessed with the painting — and the artist, who only signed L.G. — and she drags Lauren along seeking answers. Along the way, she'll learn about the Radium Girls, who used radioactive materials to paint the first glow in the dark paintings... and paid a terrible price. 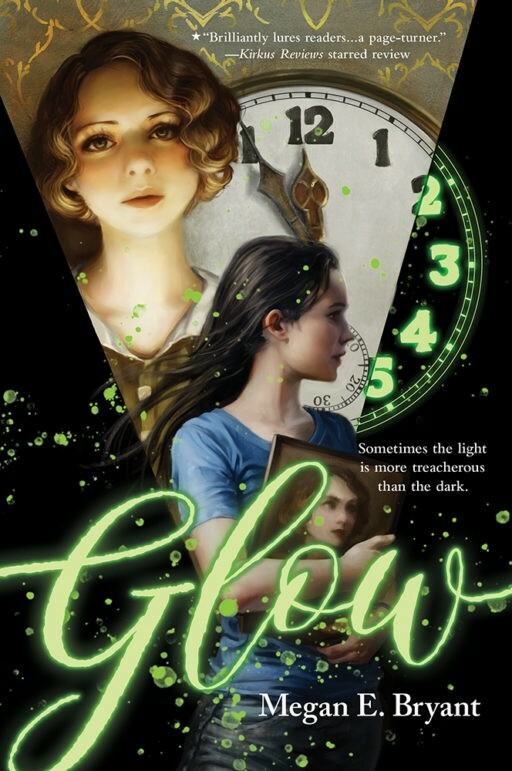 Told in alternating chapters of Julie's perspectives and letters from the Radium Girl artist, this is an engaging mystery based on a little-known and horrifying true piece of history. The Curies' discovery of radium was a scientific landmark, but it also became a marketing frenzy, with beauty products and medicines hawking its benefits. The women who worked in the radium-dial factories of World War I spent their days coated in the glimmering dust, and people thought they were lucky — but then they started to get sick. As the factories denied the connection, and with the women demanding answers, one of the greatest battles for worker's rights of the 20th century would begin. 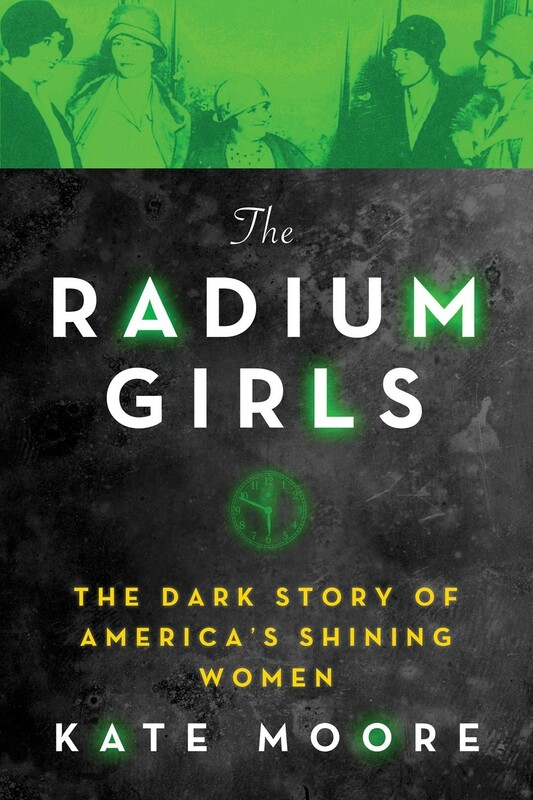 Kate Moore tells the riveting story of how the "radium girls" fought for life-changing regulations, and highlights how their battle still influences our world today. For more books about social issues relating to employment in our Work & Labor section. For stories starring girls and women who fought to change the world, visit our Activist Biography section. For books that celebrate the power of fighting for what is right, visit our Fairness & Justice section. Most labor rights laws would never have come to pass without the unified efforts of protesters and striking workers. For books that honor the power of working towards a common goal, visit our Cooperation section.